The record head that baked Northern California over the Labor Day weekend left wine grapes shriveling on the vines, reducing many of them to raisins before the normal harvest and turning what was looking to be a promising vintage into a year that looks more uncertain. The San Francisco Chronicle reports three straight days of triple-digit temperatures dehydrated the wine grapes, sometimes causing some vines' entire metabolic process to shut down. Although September heat waves are not uncommon for California wine regions, it was nearly unprecedented to have one this early and close to the point of ripeness for certain wine grape varieties. 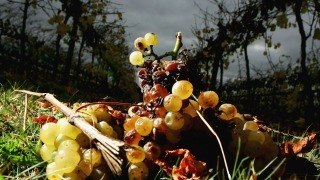 Winemakers said they'll have to put grapes that taste overripe into a lower quality, less expensive wine blend.